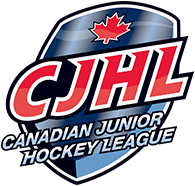 Motions raised at the BCHL annual general meeting are now finalized and the league is unveiling some rules changes that will be in place for the 2018-19 season. There will be a new format for overtime in the coming season. If teams are tied at the conclusion of regulation, they will proceed directly into five minutes of three-on-three hockey. If a winner is still not determined, a three-player shootout will follow with more shooters as necessary to determine a winner. This overtime procedure follows exactly that of the NHL. The BCHL will incorporate hybrid icing for next season. Up to this point, the BCHL has used automatic icing for pucks shot in from beyond the centre line. The new system mimics the rule currently in place NHL, introducing a race for the puck to determine if icing will be whistled or not. The dates of the 2018 Bauer BCHL Showcase will be September 21, 22 and 23 which is a Thursday-Friday-Saturday on the calendar. Once again, Prospera Centre in Chilliwack will be the host location. Unlike last season however, both sheets of ice at the arena will be in use to allow the event to run over three days instead of five. All of these changes will take effect for the start of the 2018-19 season which commences on the second weekend of September this year.